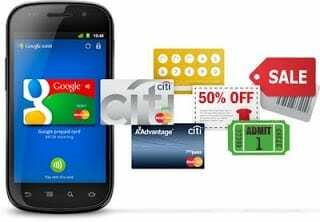 Google Wallet is a new mobile app by Google that promises to turn your mobile phone to your wallet. 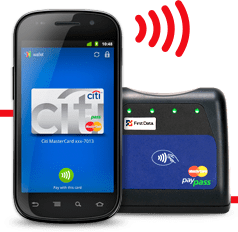 With Google Wallet, you can shop and pay for goods and services at physical locations using an NFC (Near Field Communications) enabled mobile phone. Google Wallet replaces your current plastic payment cards, by enabling you store virtual copies of your credit cards and gift cards on your mobile phone, saving you from carrying a multiplicity of physical cards. Google Wallet will also store offers, coupons, and loyalty cards enabling users to save while shopping. Google Wallet is currently available on Google Nexus S 4G exclusive to Sprint in the United States. Google Wallet will also be available for other NFC enabled Android phones and platforms in future. Google key launch partners for the Google Wallet include Sprint, Citi, MasterCard, and First Data. However, Visa, Discover, and American Express have joined the list of partners. Google will also be partnering with other leading companies to make Google Wallet a success. Google Wallet also works with Google Offers, a service that displays offers and deals on products and services relevant to your search term and location while you search using Google Search, Google Maps, Latitude, Shopper, and Google Offers. Once you save these offers, they are sync automatically with your Google Wallet redeemable when you shop at the merchant location. The launch version of Google Wallet supports both Citi MasterCard and a Google Prepaid Card, which you’ll be able to fund with almost any payment card. However, Google has announced that future releases of Google Wallet will support Visa, Discover, and American Express. Google Wallet will eventually support all types of credit cards you use today. You Store your physical cards to your phone using the Google Wallet app. Google Wallet can only be used at merchant locations with the MasterCard PayPass logo for now. After shopping in such a location, simply tap your phone on the PayPass terminal and your Google Wallet app will securely transmit your payment details to the terminal via NFC. If payment is successful, you will receive payment confirmation immediately. While shopping with Google Wallet at Google SingleTap merchant locations, you can earn and redeem loyalty points, Google Offers, and coupons just with a single tap of the phone. Google Wallet will store your credit cards, offers, loyalty cards and gift cards. However, someday Google Wallet will store stuff like boarding passes, tickets, ID and keys, possibly eliminating any need for a physical wallet. To protect your payment credentials and offer superior security, Google Wallet stores your payment credentials in a special chip called the Secure Element. 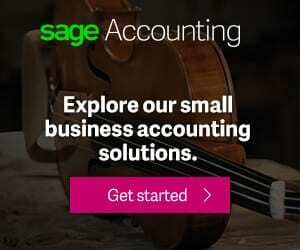 The Secure Element is isolated from your phone’s main operating system and hardware and can only be accessed by authorised programs like Google Wallet. Another layer of security is provided by requiring you to enter a PIN before you can transmit your payment credentials during checkout. Google Wallet requires phones with a Secure Element chip and NFC support. For now only the Google Nexus S 4G edition can support the Google Wallet. More NFC enabled Android phones will join soon. Google Wallet will possibly appear in other platforms in future. What is Near Field Communications NFC? The Google Wallet uses NFC technology for transmitting and receiving data. But what is NFC? NFC (Near Field Communication) is a fast, versatile short-range wireless technology that can be embedded in everyday objects like movie posters, stickers and t-shirts. The embedded chip contains information about the object, which can be read with a device enabled to read NFC data. Two NFC enabled devices will exchange data when brought in close proximity.